Mint : Sardis. Date : Posthumous issue of ca. 323 to 319 BC. Size : 14.9 x 15.9 mm. Weight : 4.27 grams. 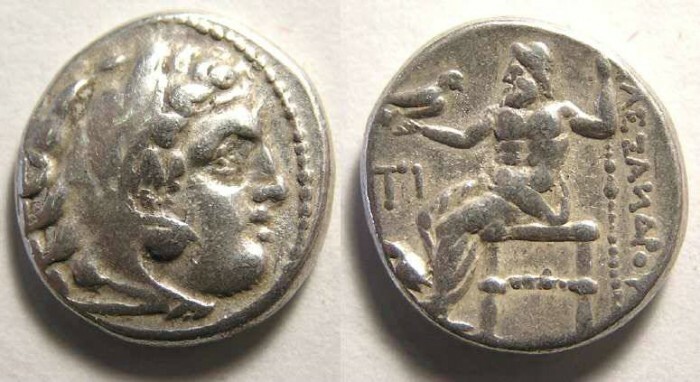 Reverse : Zeus seated left, holding a sceptre and eagle, with ALEXANDROU to the right, with a "TI" monogram and a bird, probably an eagle, below Zeus' arm.